Jen Brum is our sketch hostess at Freshly Made Sketches this week. Jen’s sketch is really cool and my card come together in no-time. Jen’s cards are so elegant and striking – you’ll want to head over to her blog and check them out. I’m big on Lemon Lime Twist at the moment. I don’t think I’ve been addicted to a colour as much this one in a while. The Lemon Lime Twist DSP I’ve used is from Eastern Palace Specialty Designer Series Paper and the fabulous sentiment is from Big on Birthdays. The “Hooray” balloon sentiment is from Happy Birthday Gorgeous and I’ve punched it out with my balloon punch. 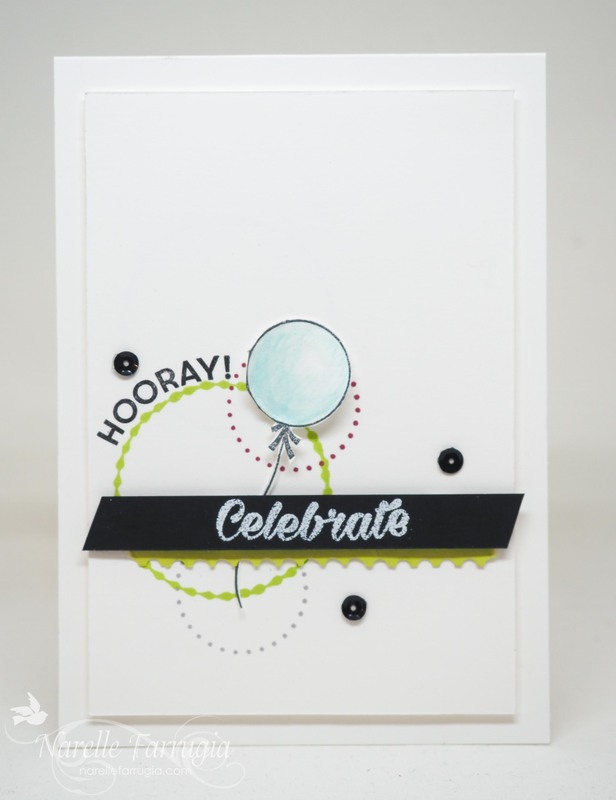 The Peekaboo Peach balloon is crimped with my retired Stampin’ Up! Crimping Tool. The circles I’ve stamped in the background are from Eastern Beauty, a stamp set that I’m finding is really versatile. I love finding new ways to show off stamp sets. As always the Clean Team have created gorgeous cards to inspire you. Pop on over to Freshly Made Sketches and take a look. We would love it if you could join in with Jen’s sketch this week. Happy Wednesday! Love Wednesdays as it means a new sketch at Freshly Made Sketches. This weeks sketch has been designed by Linda Callahan. I adore every one of Linda’s cards as she’s so creative and so very talented! I was overdue for a masculine card. 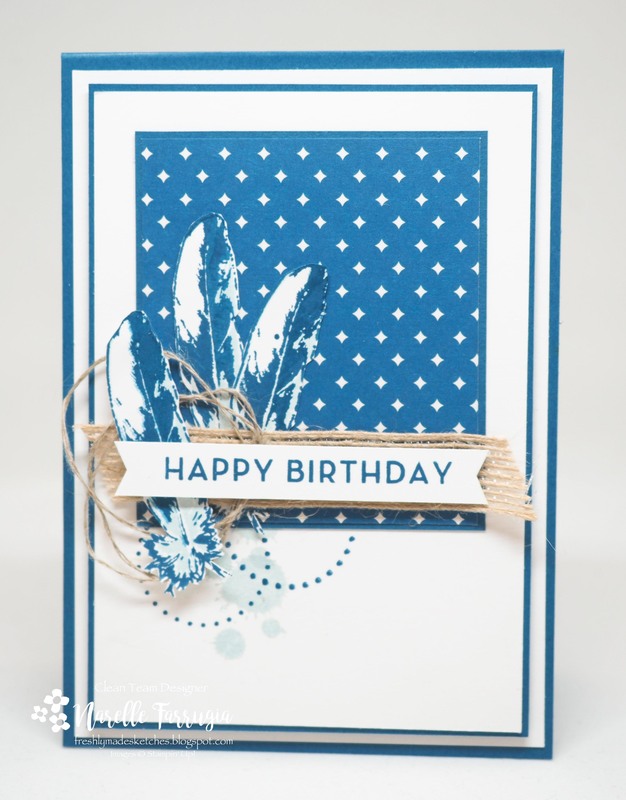 The stamp sets I’ve used for my card are Feather Together and Big on Birthdays. These feathers are just fabulous! I’ve stamped them in Soft Sky and Dapper Denim. The circles under my feathers are from Stampin’ Up!s Eastern Beauty and the watersplash type stamp is from Gorgeous Grunge – I’m going to miss this set! The designer series paper is from Eastern Palace Specialty Designer Series Paper and I’ve tied everyone together with some linen thread and a strip of Burlap Ribbon under my sentiment. I really need to push myself and make more masculine cards as it’s surprising how many requests I get for them! The girls at Freshly Made Sketches have created gorgeous cards to inspire you. Pop over to the challenge and take a look! Weekends at home mean time to play in my craft room. 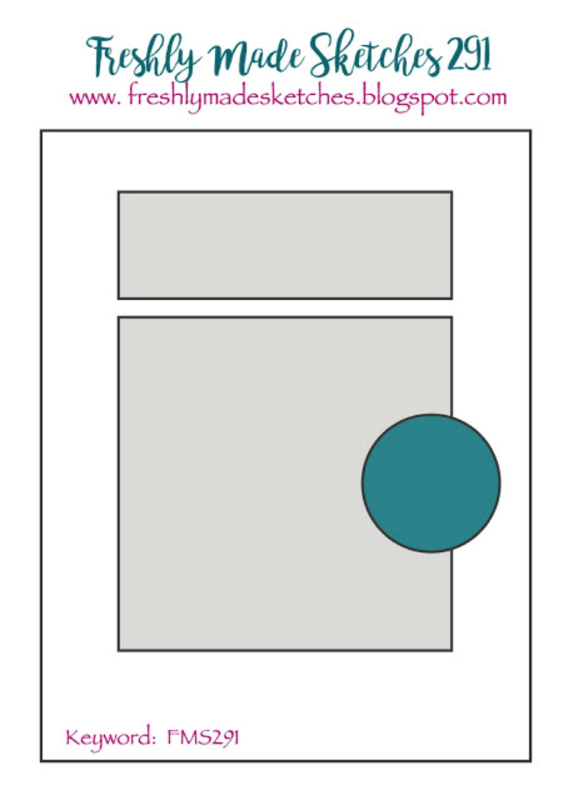 Do you find that your cards come together easy on some days and then on others, you could sit and stare at them for ages without even putting ink on cardstock? That’s me. This weekend was an easy peasy stamping weekend. 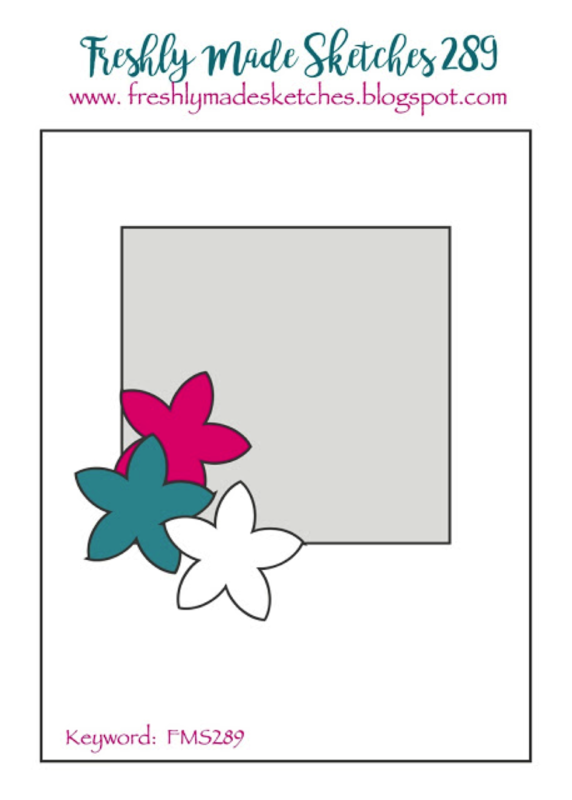 I banged out all my design team cards in no time and even had time to create a card for a challenge. The challenge I’m playing along with is for this weeks CAS(E) this Sketch Challenge. What a great sketch to work with! My craft room is in a bit of a mess. It’s almost got to a “hop, skip and jump” to reach the desk……well almost. It’s amazing what you find when you do a bit of a clean up! I was able to findd a few “hiding” stamp sets. 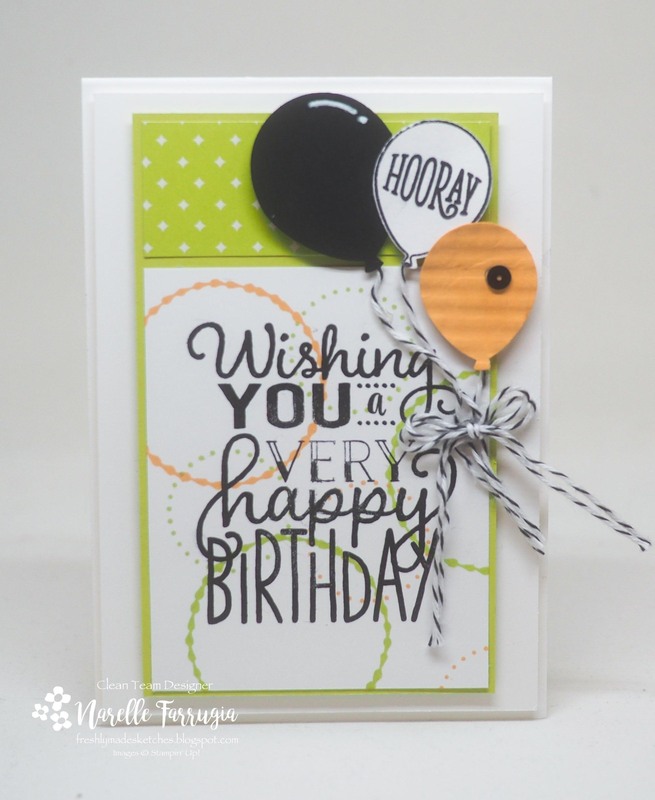 The sentiments and balloon I’ve used are from Stampin’ Up!s Birthday Bright . The circles are from Eastern Beauty and I’ve stamped these in Lemon Lime Twist, Berry Burst & Smoky Slate. 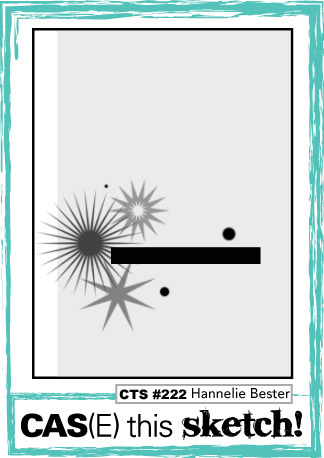 I like that these stamp sets work so well together as Birthday Bright has curvy sentiments that fit the circles perfectly. Under my sentiment is a strip of Lemon Lime Twist. This is cut with a new border punch – Ticket Tear Border Punch – this will be available in the 2017-2018 Annual Catalogue.